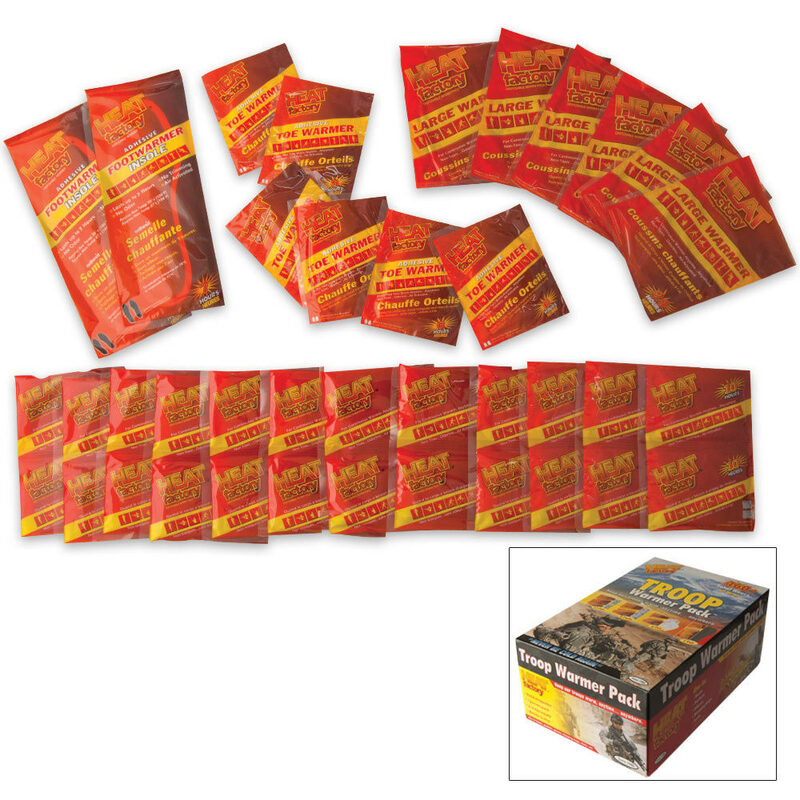 6-day supply pack of hand, foot and body warmers. These warming packs deliver portable heat wherever you need it! Included are 12 pair hand, 6 pair toe, 6 large body warmers and 2 pair foot warmer insoles. 460 total hours of heat.